We are the Canadian team of an international audience study of the Hobbit trilogy. Over 145 researchers in 46 countries are participating in this unique and unprecedented study. 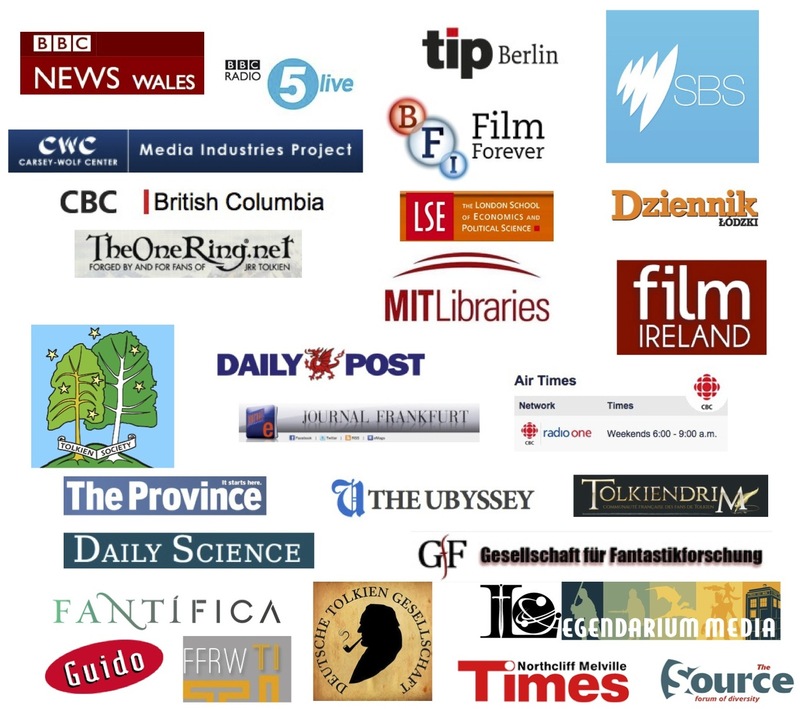 With a survey translated into over 35 languages, this is truly a historical milestone in media reception research and audience/fan studies around the world. We collected well over 37,000 responses from participants around the globe. After our initial analysis, we counted 36,109 valid responses, which makes this the largest audience study ever conducted. THANK YOU for completing the questionnaire and for participating in this important study! As mentioned in various press releases, we will share our results with you once the study is completed. THE SURVEY IS NOW CLOSED! However, please stay tuned for results! You can find results from our study here, The World Hobbit Project and on Twitter as early as this summer! 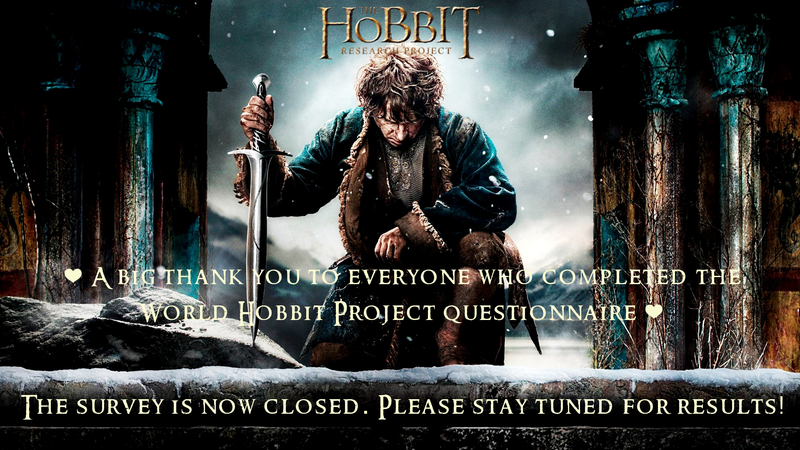 Thank you once more for participating in The World Hobbit Project ! O nosso obrigado a todos os que completaram o questionário. Nosso muito obrigado a todos que responderam o questionário. Ein großes Dankeschön an alle, die sich an unserer Umfrage beteiligt haben. Огромное спасибо всем, кто выделил время и заполнил анкету! Moltíssimes gràcies a tothom que ha contestat l’enquesta. 바쁜 중에도 시간을 할애하여 설문에 참여해주신 모든 분들께 진심으로 감사드립니다. Wij willen iedereen die de enquête heeft ingevuld van harte bedanken. Anketimizi tamamlayan herkese çok teşekkür ederiz. En stor tak til alle, der har udfyldt spørgeskemaet! תודה רבה על ההיענות, הנכונות ושיתוף הפעולה! Vsem, ki ste izpolnili vprašalnik, se najlepše zahvaljujemo. Muchas gracias a todos los que habéis participado en nuestra encuest. Grazie a tutti coloro che hanno compilato il questionario. Un tout grand merci à celles et ceux qui ont participé à notre enquête! Děkujeme všem, kteří vyplnili náš dotazník. Ett stort tack till alla som har fyllt i vår enkät.